We’re sure you’re familiar with Beauty and the Beast, after all, it’s a tale as old as time! Disney World has long provided us Disney fans with the chance to get our dose of all things Disney related. There is so much you can see, do, and experience at this amazing resort and Disney fans the world over flock here every year. If Beauty and the Beast is right up your street, there is plenty for you to enjoy at Disney World. Here are just some of them! The Magic Kingdom section of the park is kitted out to be almost exactly like the sets from the movie so you will have the opportunity to visit Gaston’s. 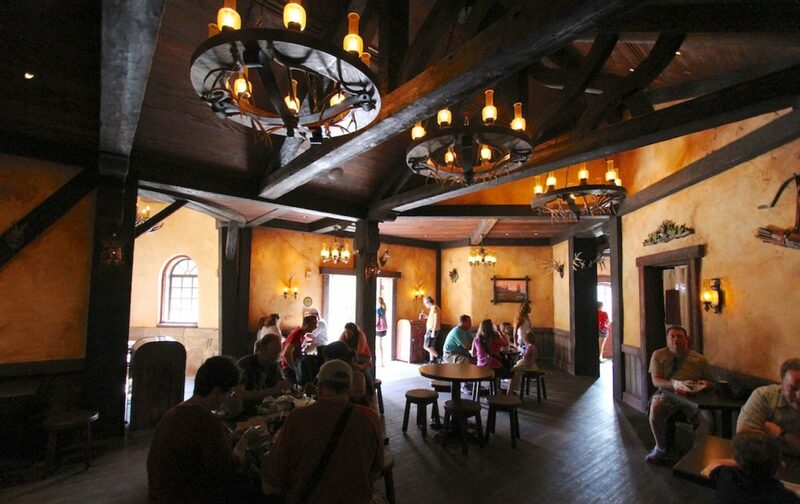 This is a wonderful tavern near Beast’s Castle, in which you can indulge in this family-friendly restaurant. There is plenty of tasty food on offer, including cinnamon rolls, vegetable cups, fruit cups, and hummus. You can also enjoy the tasty LeFou Brew, the non-alcoholic signature beverage offered in the restaurant. This is a place to relax, unwind, and enjoy some food and drink, as Gaston would have! If we were going to come up with a Beauty and the Beast themed restaurant, this is pretty much the best name we could think of. This restaurant is so glamorous and opulent you will feel like you’ve actually stepped into the movie yourself. Lunch will be a quick affair, but dinner, where you have table service, is the best way of getting the full experience. You can end your meal with a delicious cupcake or tart to cap things off. The restaurant features the ballroom, the wilting rose, and falling snow – seriously, it’s like being in the castle! This is a huge parade that is thrown each afternoon, across the Magic Kingdom. Not only does it feature Belle and Beast, but it’s an excellent way of getting to see all your favorite Disney characters in person. 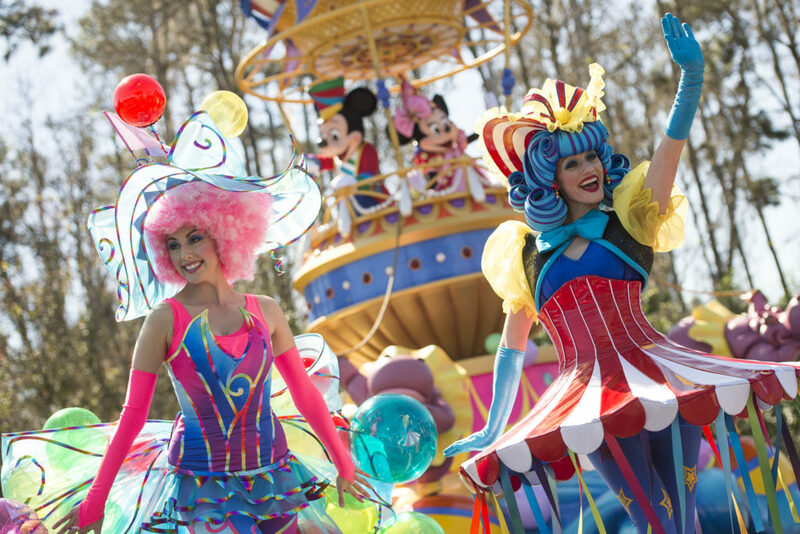 This fun and charming parade is the ideal opportunity to take a break from your busy and action-packed day, and enjoy the visual beauty of this place for a bit. Take the opportunity to enjoy a few refreshments while you’re doing it as well. You’re also going to be able to enjoy a live stage production of the timeless tale. It’s a 25-minute stage production, giving an abridged version of the story, with all the characters and songs featured. This is definitely something that fans will not want to miss, and gives you a bit of extra bang for your buck. Seeing the story on stage is different to watching it on film, and this is the perfect experience for both children and adults. You simply must check out the Enchanted Tales With Belle experience, perfect for families, and aimed at the younger audience. This is an opportunity to get fully immersed in the world of Beauty and the Beast, as guests can volunteer to play iconic roles from the movie. This interactive storytelling is a fun and immersive way of making sure you get the best possible experience. 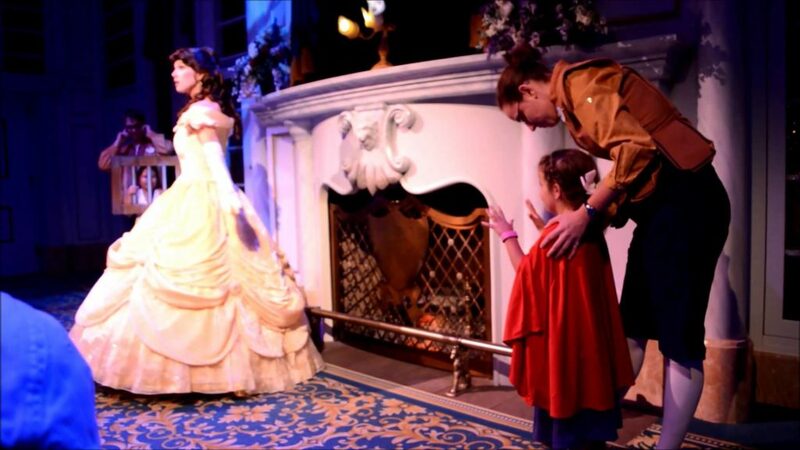 At the end, the kids will get to queue for a photo with the star of the attraction, Belle. Just make sure you get in line as soon as you can, that way you can be surer of getting a photo. When you visit Disney World, you can’t pass up the opportunity to check out the Magic Kingdom. It’s the place all Beauty and the Beast fans gravitate toward, and the perfect location to get your fix of Belle and Beast. These are some of the best places for fans to visit when they go to Disney World.